Wyoming is renowned for its beautiful open terrain and scenic views. Meanwhile, businesses and economically thrifty types enjoy the state as well—Wyoming has no personal income tax, no corporate income tax (attracting business and creating jobs), a very limited property tax, and no inheritance tax; a simple four-percent sales tax covers all of the state’s limited budgetary needs. Teachers have additional reasons to be attracted to the state. In addition to salaries well above the average, Wyoming teachers’ retirement benefits are some of the best in the nation. Thus, teachers can enjoy their careers—as well as their retirement years—in this homey, hospitable, small-community state. What’s the education climate in Wyoming? How’s the job outlook for Wyoming teachers? What benefits do Wyoming teachers have? What are the credentialing requirements in Wyoming? Wyoming aims to become one of the nation’s leaders in educational improvement, particularly in terms of college and career readiness. 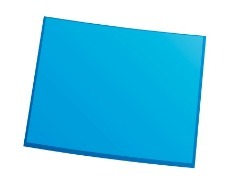 On March 21, 2012, the Wyoming Accountability in Education Act (WAEA) became law. In it, state legislators identified several primary themes, including better assessment, increased accountability and support, and improving teacher effectiveness. New standards for student assessment have been adopted for several grades and subjects, with the goal of promoting college education and development. College-readiness examinations will be given to students in ninth and 10th grade, entrance exams in 11th grade, and a computer-adaptive college-placement exam in grade 12. Thus with each year, high-school students will get feedback regarding their preparedness for college, and what they need to work on with their teachers in order to succeed in the next stages of their educational journeys. WAEA also establishes a preliminary rating system for overall school performance. The ratings will be based upon several indicators, including student academic achievement, student longitudinal growth (that is, improvement in the same students from one year to the next), and college and career readiness. Also, schools that exceed expectations will share effective practices with other schools; while schools not meeting or only partially meeting expectations will file performance-improvement plans, identifying areas of focus for help and accountability. Wyoming’s new teacher evaluation system is expected to be fully in place by July 2013. Initial-contract teachers will be evaluated twice annually, while continuing-contract teachers will be evaluated once. These assessments will be based in part upon student achievement—taking into account longitudinal improvement, so that teachers will not be unfairly impacted by taking historically underperforming students into their classroom—and will provide documented feedback to teachers, as a means of improving instruction. Through the implementation of these and other measures, the state of Wyoming will continue to gather feedback, and use it to adjust and improve its educational plans on the statewide, district, and individual levels. Elementary education ranks in the top 30 industries in Wyoming in terms of new jobs expected. Among high schools, highest demand is for mathematics, English, and history teachers. Because Wyoming has the smallest population of any state in the nation, as well as low population density (only Alaska’s is lower), searching for a teaching job here is a little different than in states with large urban centers. (By comparison, the number of students served by the Los Angeles Unified School District in greater than the entire population of Wyoming.) Expect to apply to openings in districts throughout the state, instead of focusing upon a particular city. Wyoming does report some statewide teacher shortages, however, including in the areas of adaptive physical education, English, English as a Second Language, family and consumer science, foreign language, math, high-school science, and special education. Wyoming teachers work according to a traditional school schedule, teaching from 180 to 190 days per year and getting summers off. Including winter and spring breaks, teachers get about 15 weeks of vacation annually, and never need to work on a holiday. Meanwhile, the value of Wyoming teachers’ fringe benefits is competitive with the private sector, with health plans at market value and retirement plans well above market value. Benefits packages for Wyoming teachers include health, vision, dental, and life insurance, with the employer paying the bulk of the cost of the premiums (and in some districts, the entire premium). Wyoming teachers’ median costs are 10.45 percent of the premium for employee-only health coverage, and 11.11 percent for family coverage. Several retirement plans are available to Wyoming teachers, and 40 out of 47 school districts pay the entire retirement contribution. The other seven school districts contribute an average of 12.69 percent of an employee’s salary toward retirement, with teachers contributing only 1.43 percent of their earnings. Wyoming teachers, therefore, enjoy one of the best retirement benefits in the nation. Several organizations in Wyoming (see below) are devoted to teacher development, and to providing educational resources to Wyoming teachers—including substitute teachers. These organizations often publish and discuss research on teaching programs and techniques, and often offer classroom activities or curriculum supplements to improve teacher performance. In order to be licensed to teach in Wyoming, applicants must complete a regionally accredited teacher preparation program, involving at least a bachelor’s degree and a period of supervised student teaching. Upon completion of such a program, prospective teachers must obtain an institutional recommendation for licensure, signed by the head of their college or university. Applicants who wish to teach elementary school must also pass the Praxis II Elementary Education: Curriculum, Instruction, and Assessment exam; or, if they wish to teach Social Studies, they must pass the Praxis II Social Studies: Content Knowledge exam. No other certification areas currently require a Praxis examination. Initial teacher certification is valid for five years. In order to renew certification, teachers must continue to further their education, completing a number of professional development credits each term, or by obtaining National Board Certification. Additional details and information can be found at the Wyoming teaching certification website.